Cricket is the most recommendable game in these days and it is popular from many years. People love to play and see cricket. Different competitions are help for the cricket and many tournaments are organized to play and increase the level of cricket. One of these leagues is IPL, where people made different team and they purchase players for their team. There are some most expensive players of ipl 2018. These players are purchased by different teams and the players will play for the teams which purchase him. The player gets the maximum price that plays best in the past matches. 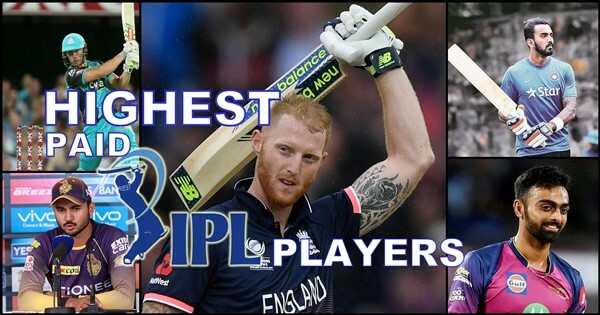 Ben Stokes is the England all-rounder and was the biggest purchase of IPL auction. Ben Stokes was snapped up by Rajasthan Royals was the most expensive player in IPL. They were purchased for the price money of INR 12.5 crore. He plays for ipl match for many times. Jaydev Unadkat is the one of the most skilled fast bowler to 20-20 cricket. He was purchased for Rs 11.5 crore, by Rajasthan Royals. Rajasthan Royals now have a very fine bowler in their squad. KL Rahul is the best batsman in the Indian cricket team and he has many abilities. KL Rahul was snapped up by Kings XI Punjab for Rs 11 Crore. Rahul has the ability of wicket keeping also. Manish Panday was purchased by Sunrisers Hyderabad for Rs 11 crore. He is one of the best players in Indian cricket team. Not long after Rahul was bought, Pandey’s name was immediately set into motion. After Pandey, the big hitting Australian batsman was another big earner of IPL. Going back to Kolkata Knight Riders for Rs 9.60 crore from a base price of 2 crore. The two times title winner Australian left arm quick Starc was sold for Rs 9.4 crore to the Kolkata Knight Riders. He is in the top ten expensive players of the IPL in these days. Glenn Maxwell is the best player in the cricket games and was purchased by Delhi Daredevils for Rs 9 crore. He had earlier been on Daredevils’ roster but never got a game. Sunrisers Hyderabad purchase Rashid Khan for Rs 9 crore. This Afghanistan superstar won a bumper pay cheque from Sunrisers Hyderabad. Krunal Pandya was most profitable uncapped all-rounder. He was snapped up by Mumbai Indians for the Rs 8.8 crore. Sanju Samson was stock as a wicket keeper and batsman. He was purchased by Rajasthan Royals for Rs 8 crore. All the players play for ipl cricket and it will enhance their performance and they earn more profit. All the players are best in their work and they will do their best efforts to make their team win. Players from different countries will play together for the team which purchases them. These players get most benefit from the IPL matches.